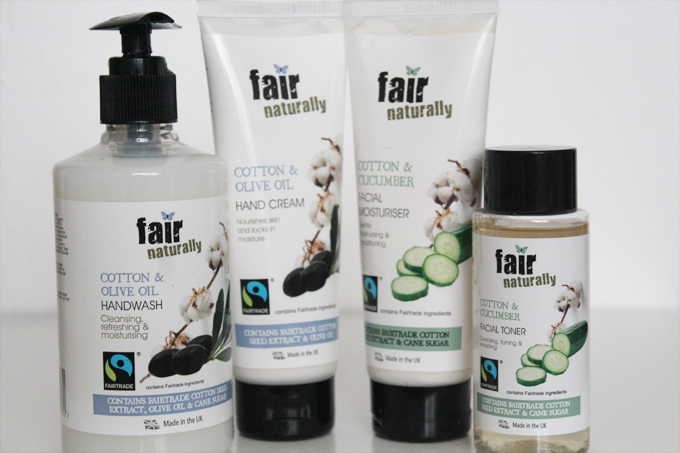 When I was contacted by The Fairtrade Foundation introducing me to the company more, I was instantly interested due to my interest into organic and natural products and further more what the Foundation represented. Fairtrade focus is on helping workers and farmers improve the quality of their lives and take more control of their futures. They are the only certification scheme whose purpose is to tackle poverty and empower producers in developing countries. It's not just coffee and banana's that farmers provide for us but a lot of other organic ingredients. 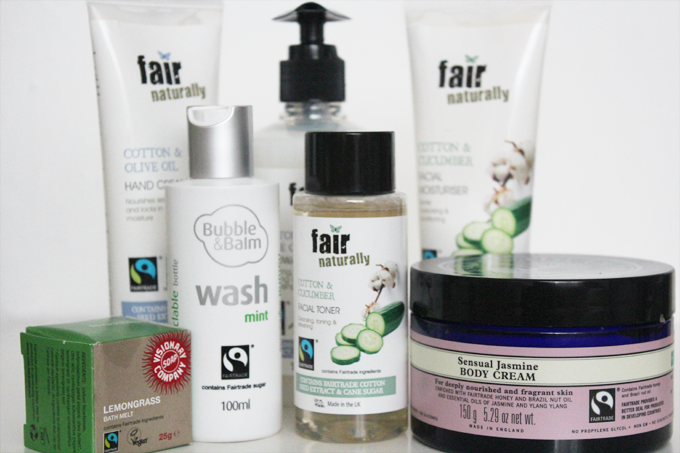 Fairtrade have a mark on over 3,000 products in stores from coffee to flowers. Having Cotton Seed in any beauty product gives us the benefit of Vitamin E which cotton seed is high in overall it will improve the skins appearance. Combining that with cucumber which soothes and softens the skin - which is why it's great for tired eyes. Once I introduce these more into my routine I will do a skincare update but I think this week I will introduce the toner for my skin. Boy oh boy does the Bath Melt smell of Lemon alright - for some who may not enjoy that citrus smell I wouldn't recommend it as the smell is slightly strong but if like me citrus scents are a favourite of yours you will love it. This perfect travel sized mint infused wash is quite relaxing to use and soft on the skin which I like - prefer to use it during my nightly baths when I may feel a little run down or needing to be soothed, mint can do that for me. Neal's Yard my first experience with them wasn't a good one as my skin erupted into spots with a bad reaction which was unfortunate as I had heard such positive things but that's the gamble. First the smell of the sensual Jasmine I didn't like much but it's grown on me typically my skin has it's time where using fragrant creams isn't a good thing but I find this does feed my skin. I think when possible go for Fairtrade products I believe every little helps when it comes to farmers who are providing us with these ingredients, food etc. 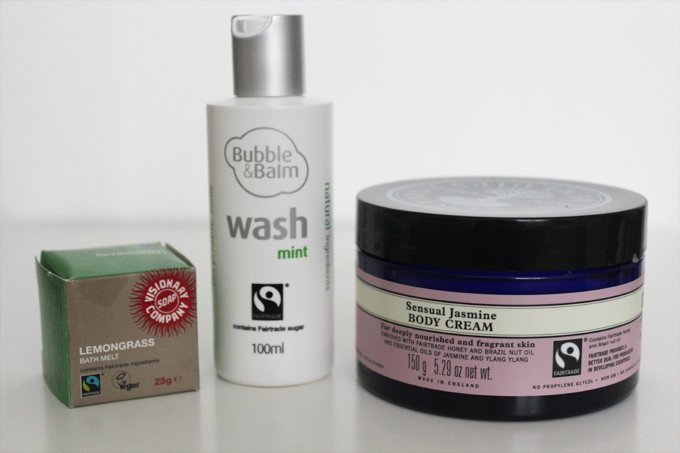 Have you tried any of these or buy fairtrade? I have never tried any of these products, but I have bought fair trade coffee. Oh I buy fairtrade bananas :) lol but love the fact that they have beauty products. These look really good. I wonder if they're sold in the UK. I would definitely buy them if they do.